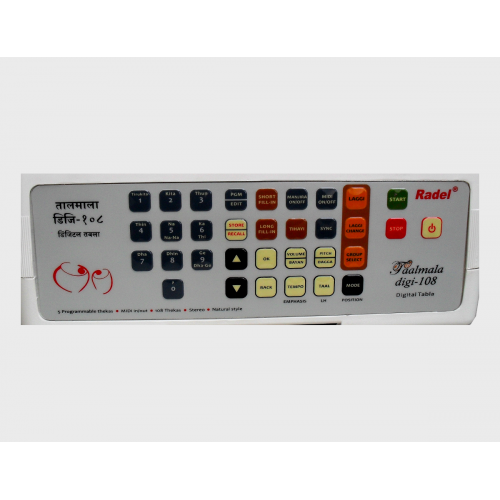 Taalmala Digi-108, digital tabla, available in taalmusicals.com, vijayawada. The Taalmala Digi-108 produces an amazingly realistic sound of the traditional tabla by utilizing the latest state-of-the-art sampler technology. 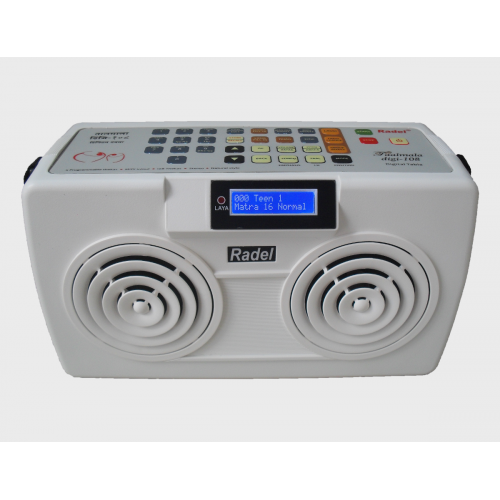 It is the newest in the range of Radel Taalmala tabla instruments. It is a sophisticated instrument which not only plays 108 pre-set tabla thekas, but is capable of simulating a ‘live accompaniment‘ effect, so that it can be even used in concerts. It has a variety of attractive Fill-ins, Laggis, and Tihayis. MIDI IN and MIDI OUT facility has been provided, making the Taalmala Digi-108 the only Indian musical instrument that can be connected via MIDI to a keyboard synthesizer or computer. 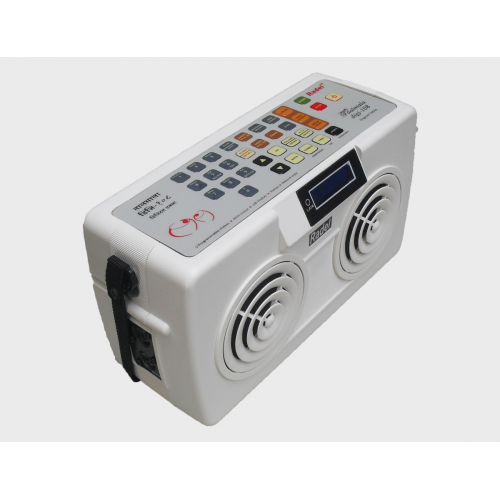 The new Saarang Magic Plus is the smallest of the tanpura range.Palm-sized: 115 x 130 x 80.. The Talometer Zx was the first of its kind to be invented in India in 1978. It is a must f..